Essential Fatty Acids (EFAs) are essential in your diet. This does not mean that eating a lot of cream buns is healthy! There are three types of essential fats – saturated, monounsaturated and polyunsaturated – and a completely ‘fat-free’ diet ignores the fats that are good for you. Unsaturated fat, found in vegetable oils and certain fish (such as tuna, salmon, herring) is good for your heart, and helps reduce cholesterol. Fats in general carry vitamins around the body through the blood. Your brain is 60% fat, and fat is the most concentrated form of energy you can eat – so your muscles need fat too. Fatty acids essentially act as lubricants for your joints and skin. Why use EFA Recovery Plus as your source of fatty acids? EFA Recovery Plus was formulated to help balance your diet with a ratio of carbohydrates, protein and fat that is generally considered to be necessary for optimum health and better physical performance. It is also an efficient source of omega-6 and omega-3 fatty acids. What are the health benefits of EFA Recovery Plus with omega-3? EPA and DHA are known to assist retinal tissues, brain tissue, and the nervous system. It is recommended that you take 3-6 capsules daily, depending on body weight and intensity of exercise. 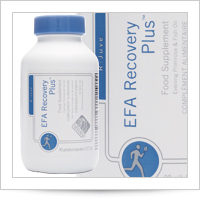 EFA Recovery Plus should be taken with a range of vitamins and minerals to ensure maximum effectiveness. EFAs are vital in the role. of ATP production – the energy source for muscle work. li>Supports cellular function arid overall health while helping the flow of nutrients and waste material in and out of the cell. EFAs are heavily involved in maintaining healthy nerve cell membranes in. the brain necessary for short and long-term memory, providing muscle cells with energy during exercise. and supporting muscle relaxation. They also support circulatory health, and are involved in the control mechanism to slow the rate of carbohydrates into the bloodstream. 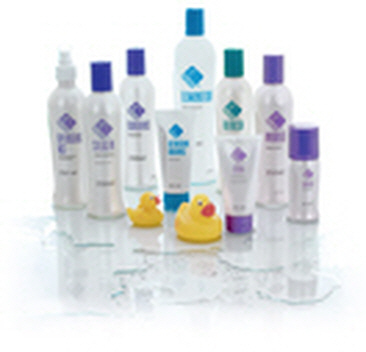 - EFAs support the suppleness of skin and help the body maintain healthy joints. The optimum ratio of omega-6 to omega-3 is between 3: 1 and 4: 1. In the typical diet this ratio is around 25: 1 . You will have heard of cod liver oil as one of the more traditional supplements – but you may have also heard that due to pollution, it can now be full of ‘PCBs’. The fish oils in EFA Recovery Plus are filtered and tested for bacteria, heavy metals and PCBs, rendering it safe to ingest. For more information about omega-3 and its benefits, visit http://www.clo3.com/.